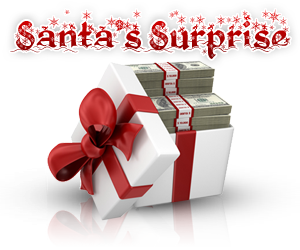 Make sure to login everyday to your Fly Casino account to view the daily Santa’s Surprise. Collect up to $/€/£ 100 free when you make your first deposit every Sunday during the month. You are entitled to receive a 50% up to $/€/£ 100 bonus immediately when you make your first deposit on any Sunday this month. Login everyday during December 10th, 2013 and December 13th to see what Santa has in store for you! Each day is something different but we can’t tell you what its going to be…it’s a surprise. Did You Like Us on Facebook?